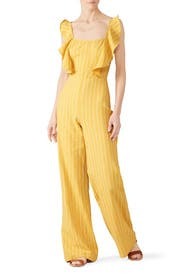 This sunny léRumi jumpsuit is ready for some fun with flouncy ruffles, flattering stripes and wide legs. Sized: XS-L, one length available. 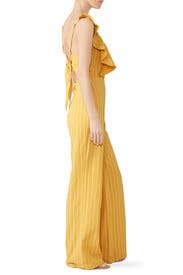 Regular measures 58" from shoulder to hemline. Yellow striped cotton (70% Cotton, 30% Linen). 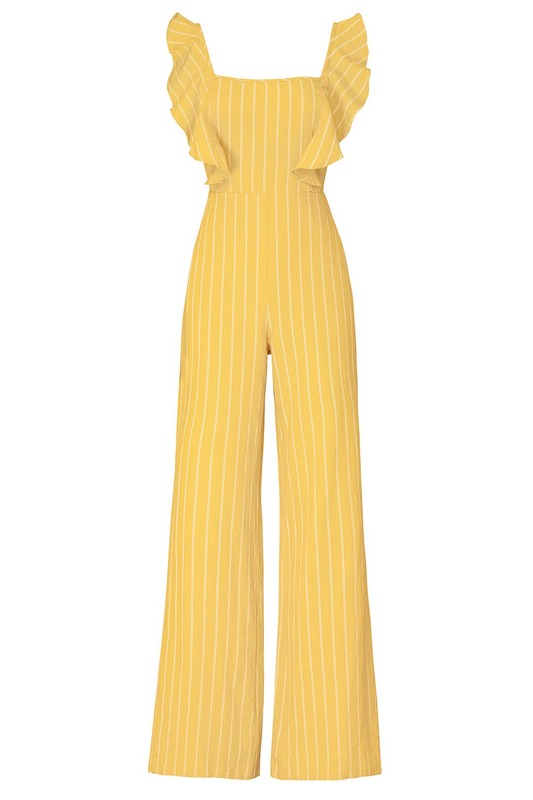 Jumpsuit. Flutter sleeves. Square neckline. Hidden back zipper with hook-and-eye closure. Tie at back. See size and fit tab for length. Imported.